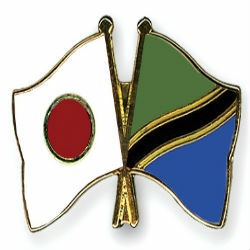 A two part, 30.6 billion TZS deal was finalized between Tanzania and Japan this week, to improve access to clean water in Tabora Region and to widen a road in Dar es Salaam. 28.9 billion TZS will go towards the “The Project for Rural Water Supply in Tabora Region”, supplying clean water to 40,000 people in the region’s rural areas. 1.7 billion TZS will go towards the “The Project for Improvement of Transport Capacity in Dar es Salaam”, widening the heavily congested strip of road between Kamata junction and Bendera Tatu roundabout. Improving access to clean water is a major Millennium Development Goal Tanzania is working to achieve, and traffic reduction is know to benefit economic development and ease of doing business. Funding will be financed through the Japan International Cooperation Agency (JICA) and both projects are set to begin by March, 2014.